The mid-size sedan market is one of the toughest markets in the automotive industry. 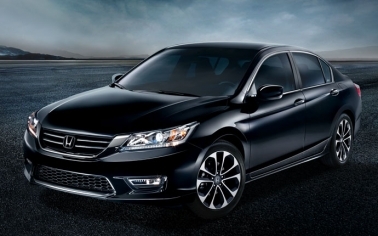 But only one has made Car and Driver’s 10 Best Cars list 27 years in a row: the Honda Accord. The 2014 Honda Accord is also better for families and those with a lot of “stuff” because it is a “substantial” 12 cubic feet bigger, with more head and leg room for everyone. To decide what’s best for each customer, several questions must be answered before deciding if a lifetime or one time alignment is right for you. – Is it your intention to keep the vehicle for more than 2 years? – How many miles do you drive each calendar year? – What type of roads do you primarily drive on? 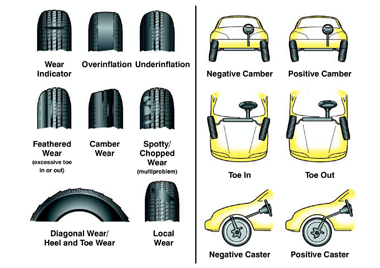 Reasons for checking alignment specs and making required adjustments is, even under ideal road conditions, wear takes place on all suspension and steering components. Settling of springs will change steering geometry and adversely effect tire life, handling, braking and fuel economy. Your advisor will be able to assist you in making the right decision for you and your vehicle. Model Code: TF3H3DJW. 36 month closed end lease. $1500 trade or cash down. First payment $595 acq. Fee. Taxes + DMV fees due at lease signing. 12,000 miles/year. $0.15 overage. To qualified buyers thru AHFC. Not only are they proud Honda owners (2012 CR-V and 2013 Civic), but Deb and Rick also have a strong commitment to their community and Golisano’s Children Hospital. Tim Milgate’s family and Taylor Brush’s family have come together to create this amazing new organization to remember their loved ones in a positive way. 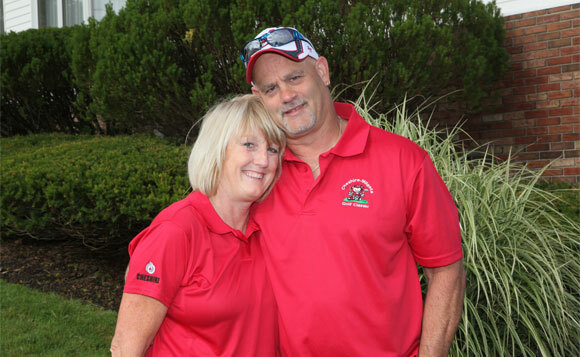 TNT (Tim ‘n’ Taylor) is a newly founded charitable organization combining the efforts of these two families, who have dealt with the loss of a family member, to funnel their energy into fund raising for charities. Separately, these families raised over $420,000 for Golisano Children’s Hospital over the past 12 years. Together, they hope to accomplish much more. The second Annual TNT Explosion is scheduled for Saturday, November 2, 2013 at PIER 45, 1000 North River Street, Rochester, NY 14612. Last year we raised over $17,00.00 at this sellout event! Our support in 2012 was incredible for a first time event and we look forward to doubling our numbers in November! The TNT Explosion is an adult event featuring wine and beer tasting, grazing stations, and amazing entertainment including many talents from the Rochester area.There will be a silent auction, photo booth, many raffles and more. All proceeds will be 100% dedicated to complete the construction of TNT’s Private Patient Room in the NEW Golisano Children’s Hospital. We realize times are challenging for everyone, but the need for the best pediatric healthcare possible will never end. There are thousands of children who visit Golisano Children’s Hospital every year and these children depend on fund raisers like the TNT Explosion to provide many of the things that help them with their treatment and recovery. A donation of an item or certificate for our silent auction would play a significant role in the overall funds we raise. Visit us on the web at www.tntmemorial.com , I look forward to hearing from you soon. Thanks a million! Congratulations from American Honda to Jerry Laske for 25 years and Dave Buehlman for 15 years of Honda Dedication and Contributions! Thank you for your feedback on the newsletter. The overall response was that you enjoy the newsletter and employee section is one of your favorites. You will meet another Ralph Team member next month! Feel free to share feedback anytime!